Get to know the pioneering women of color who helped make Harlem a world-famous center of social activism, cultural experiment, and progressive politics throughout the twentieth century. On this multi-media bus tour, historian Dominique Jean-Louis brings to life the stories of visionary local heroines including Ella Baker, Antonia Pantoja, and Pearl Primus through historical tales, vivid anecdotes and recorded music. 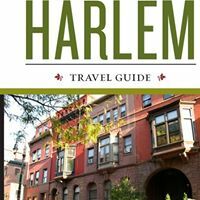 We’ll visit the street corners, buildings, public places and neighborhood spots where a diverse group of women made history – with repercussions that extended far beyond Harlem’s streets to the world beyond. Afterwards, we will return to the Museum for lunch on the Terrace (optional).